Alright, I’ll admit it. I’m a thirty something year old and yet I’m a superfan of James Reid and Nadine Lustre. I liked them before and saw all of their movies but I love them now. 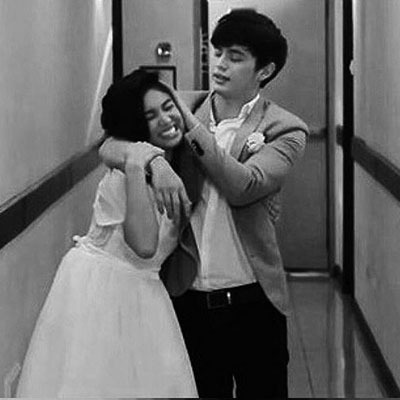 As some of their fans would say, I’m afflicted with OJD (obsessive Jadine Disorder). And why not? These two are adorable! On screen and off — whether they will become a couple in the future, only they can tell but even so, their closeness translates very well on the screen and their level of comfort each other result in scenes that deliver on the kilig and good vibes. 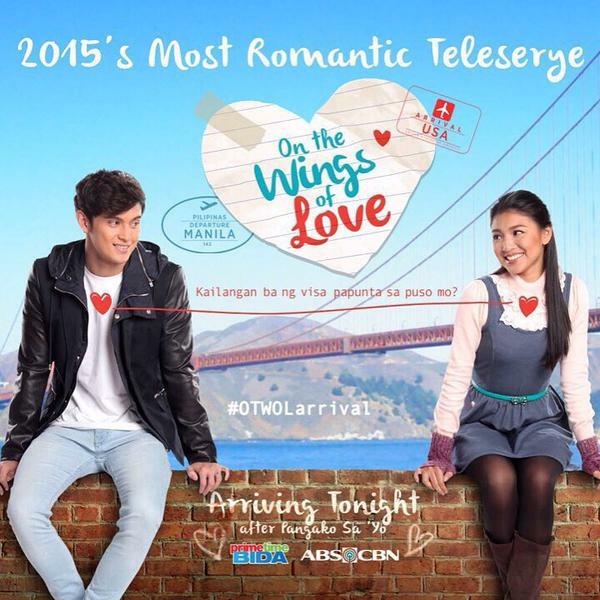 It doesn’t come as a surprise for me that their first full length teleserye On The Wings of Love would become my instant favorite. It’s awesome — the perfect balance of light and heavy, of drama and love story. It’s just good vibes overload with ABS-CBN’s signature blend of family values. What’s more, it speaks about the struggles of OFWs so people get a better insight as to the amount of sacrifice that OFWs truly make just to provide for their families’ futures. Leah and Clark’s first meeting was anything but cordial. Sure, there were sparks flying from the onset but not because they were instantly attracted to each other but because Clark was lecturing Leah on the appropriateness of ‘hugging’ people randomly on the streets. I loved it when Leah’s nose bled. Super funny! I have a spray and I’m not afraid to use it. Clark, bless his heart and his abs, is afraid of cockroaches. Leah discovers his fear of the insect and proceeds to pick up the roach to threaten Clark with it, to which Clark responds: I have a spray and I’m not afraid to use.. LEAH!!!. One of the teasers that made it to the final cut was Leah and Clark’s lightning round for their getting to know each other quiz. Both noses are red and swollen (because the price of it mistake is a flick on the nose) and Leah asks her ‘hubby’ what her favorite expressions are, to which Clark answers in perfect deadpan — Achieve, Ikaw Na, Diyos ko Lord, Push! This was a really short scene, two minutes tops. Clark chances upon Leah in the pizza shop where she was working as a mascot. After teasing Leah about her job, he teases her even more by asking for a goodbye kiss on the cheek before he returns to his table. Clark’s mischievous look before and after the brief kiss is priceless. I love how the writers and directors think up of humorous ways to develop the story of Clark and Leah. I absolutely crack up each time they talk about their ‘first meeting’ on the beach with different versions. If you have noticed, Clark wears the exact same hat (with flowers) and lei as Leah (not in this photo). He looks absolutely ridiculous and adorable at the same time. Way to own it,James. When Leah finally comes face to face with Barracuda and the loan shark shows interest in his wifey, Clark steps in to defend her. Usually wanting no trouble with the gangster and his goons, Clark steps up and even threatens Barracuda that he will break his finger if he lays even one on his wife. Clark was pretty drunk on their wedding night and he was pretty much wasted until Leah told him in their apartment lobby that if he faints, she will not carry him. Seeming to snap into action, Clark turns the tables on Leah and carries her instead, to the delight of Mrs. Mills, their neighbor who chances upon the couple as they head towards their unit. The way Clark used a bunch of endearments to refer to Leah when he introduced her as his wife was super sweet. Kilig much!